Eric Voegelin published his essay “The Oxford Political Philosophers” in 1953, a time of prosperity in Britain, which had gradually recovered from the ravages of the Second World War. Even the tense atmosphere of the Cold War was relaxing for the moment, as the hot war in Korea was ending with an armistice, albeit one that fell short of an effective peace treaty. Winston Churchill, who had returned to Downing Street after defeating the governing Labor Party two years before, was urging the United States to engage in détente with the Soviet Union in the wake of Stalin’s demise that same year. In Britain, the political scene was calm. Churchill’s Conservatives were continuing Laborite policies in the areas of nationalization and trade union reform, thus displaying their utter lack of interest in returning to the days of laissez-faire. In short, Britain was an island of stability, eight years after the Second World War ended. What, then, specifically contributed to the particular success of fair Albion? Voegelin did not discount the role of good luck here. “The fortunes of history have granted England a breathing spell between the gnostic movements of the seventeenth and the twentieth centuries; a great political culture has grown, its durability endowed its symbols with the pseudo-eternity of principles, and it has engendered loyalties that motivate justification rather than dissolving criticism.” (OPP, 37) It is not that English history lacked harsh experience with civil wars or struggles with authoritarianism. Voegelin is particularly hard on Hobbes and Locke for justifying religious intolerance (towards Catholics, for example) in the name of secular freedom. (OPP, 35-38) Yet, as George Grant once observed, the English “confidence in their liberalism saved them from taking seriously the traditions which proceeded either from Rousseau or from Nietzsche.” Towards the end of his essay, Voegelin credits the presence of “enough Christian substances” for having the moderating effect of making “at least the worst sort of good consciences socially ineffective.” (OPP, 45) In other words, Christianity reminds humanity of the tension between the ways of the world and the truth (to be in the world but not of it). Despite the savagery of two world wars, England’s version of Christian faith had helped the island muddle through, to invoke Churchill’s famous phrase, even as it enjoyed its relative isolation from the convulsions of the Continent. Whether the Oxfordian political philosophers appreciated the indispensable nature of this religious precondition was another question. Despite this achievement, a few readers have wondered whether Rawls unwittingly continued what Voegelin diagnosed as the Oxfordian tendency of easy philosophical conformity with the political status quo. I have already noted that Voegelin published his essay on the peaceful Britain that existed in 1953. Rawls published A Theory of Justice in the America of 1971. Rawls’s republic was embroiled in the Vietnam War, although President Nixon had already begun the gradual withdrawal of American boots on the ground while drastically escalating the aerial bombing of North Vietnam. Racial strife and campus unrest were heating up the political temperature of the divided republic. Although the war itself had taken a terrible toll in blood and treasure, its humiliating end was still four years away, when the last helicopters took off from the roof of the American embassy in Saigon while North Vietnamese tanks rolled into the city. Thus, Rawls has little interest in human beings who know their tradition, faith, or class position in an actual existing society. In the recurring debate over Rawls’s legacy, this timeless question arises: what exactly makes a decent liberal regime possible? A Voegelinian emphasis on the religious preconditions that ground this regime provides, I shall argue, an essential philosophical framework for critically evaluating Rawls’s defense of liberalism. Notwithstanding his polemical tone, Voegelin is systematically exposing a serious defect not just in Rawls’s theory but in the entire tradition of analytical philosophy as well. His remark that justice “presupposes the openness toward divine reality as the [operating factor in the existent of a society in history]” serves as a reminder to secular intellectuals that, try as they might, they cannot transcend the religious sources of the experiences that feed their ideas. Voegelin is also calling attention to the abstract nature of Rawls’s account of justice, resting on a “contract theory” that had been called into question as far back as Book Two of Plato’s Republic. Perhaps worst of all, Rawls falls back on “New-Leftist egalitarianism,” one of the most parochial ideological premises of his time, without even acknowledging the epiphenomenal nature of his assumption. What is simply a doxa, an opinion, in favor of egalitarianism becomes an unchallengeable abstraction that all rational individuals must follow. Whether Rawls knew it or not, he was importing a “faith” into the rational calculations that characterize his original position. In the decades following the publication of A Theory of Justice, Rawls takes a greater interest in what Leo Strauss famously called, the “theologico-political problem,” namely the challenge of understanding religion’s role in a political order as well as its relation to philosophical freedom. Whether this new interest represents a new attitude that Rawls is taking towards the value of religion is the question that I seek to address. I shall argue that Rawls’s greater attention to religion in Political Liberalism (1993), the sequel to his first work, indirectly vindicates Voegelin’s suspicion that English (or Anglo-American) liberalism still requires a theological foundation, even though Rawls never acknowledges this fact. This new interest in accommodating religion is not consistent with A Theory of Justice. As Allan Bloom argues, Rawls in this work, unlike the early modern social contractarians, is disinterested in faith or how it fits into a political order. He simply assumes that religion is irrelevant. “Rawls, counting on men’s having weak beliefs, simply ignores the challenge to his teaching posed by the claims of religion.” Why did Rawls change his mind on the importance of religion? Is it because, as Carlos Fraenkel has argued, “the secularization thesis is in trouble”? Fraenkel writes: “Appealing to reason is not enough in the case of citizens for whom reason holds less authority than God.” If reason is not the supreme authority for all, then the accommodation of religious belief, as long as it does not seriously conflict with liberal principles of freedom and equality, sounds reasonable. Still, two questions arise: does Rawls’s political liberalism require a civil theology, an uneasy synthesis of both religious and secular symbols in the political realm, which Voegelin associates with traditional liberals such as Hobbes and Locke? If that is the case, does Rawls’s secular philosophy adequately account for the role of religion in his system? In order to address these questions adequately, I return to Voegelin’s discussion of the postwar Oxfordians. The relevance of this essay, which precedes the publication of A Theory of Justice by almost twenty years, lies in Voegelin’s argument that the Oxfordian tradition of political philosophy since World War II has always been dangerously indifferent to the importance of religious (especially Christian) belief as a barrier to the most toxic ideologies of our age. Although the Rawls of Political Liberalism is far more attentive to religion than the Rawls of A Theory of Justice, he still suffers from two blind spots that Voegelin attributes to the Oxfordian tradition as a whole. First, he does not clearly admit the necessity of a role for religion in politics, even though he unwittingly depends on its survival. Second, his accommodation of religion insists that believers adapt their faith to liberal politics. Whether Rawls acknowledges it or not, religion must be subordinate to liberalism. This move on Rawls’s part repeats what Voegelin describes as the attempts of past liberals (Hobbes, Locke) to create an intolerant “civil theology” (OPP, 36) which is ill-equipped to deal with the ideological challenges of our age. In brief, Rawls fails to acknowledge the religious (Christian) preconditions essential to his philosophy of liberalism. Although Rawls concludes that his political liberalism “does not take a general position on the three questions above,” he further remarks that “political liberalism does affirm the second alternative in each case with respect to a political conception of justice for a constitutional democratic regime.” (PL, xxvii) We no longer need the theological-metaphysical doctrines of the past that preoccupied Hume and Kant. Rawls concludes the introduction with the simple assumption that a “reasonably just political society is possible.” (PL, lx) With a nod to Kant, he later calls this assumption a “reasonable faith.” (PL, 172) Presumably, this faith is not a comprehensive doctrine or civil theology, at least according to Rawls. One large question that arises out of Rawls’s beliefs in the human rationality that makes good government possible is whether this assumption counts as a minimum dogma or comprehensive doctrine all its own. Despite Rawls’s opposition to the usage of religion in politics (as opposed to the accommodation of belief), does he presuppose a civil theology? There is considerable debate over this possibility. Some have argued that the liberal Protestantism of Rawls’s youth persisted as an influence upon his later philosophy. Others have warned against reading too much religious (that is, Christian), content into his mature thought. I am inclined to believe that Rawls went out of his way to avoid any hint of a reliance on civil theology (or religion as a whole), even though his political philosophy ultimately requires it. Admittedly, this interpretation is not so easy to demonstrate, given the fact that Rawls’s official views on religion are traditionally analytical (and thus dismissive). Although he wrote a thesis on “the meaning of sin and faith” as an undergraduate at Princeton in 1942 (which was posthumously published in 2009), Rawls, in the last years of his life, warned against the temptation of reading any religious content (including the influence of liberal Protestantism on his thought as a young man) into his mature philosophy. His short essay “On My Religion,” which he wrote in 1997, is the only essay in his oeuvre in which he devotes considerable attention to religion in a personal vein. The essay begins with the assertion: “My religion is of interest only to me, as its various phases and how they followed one another are not unusual or especially instructive.” In the next two pages, as he recounts a series of events that he witnessed as a soldier fighting the Japanese during World War II, Rawls poignantly describes how he gradually lost his Christian faith amidst the horrors of war. Then he turns to the history of various attempts by theologians to defend the most indefensible evils in the name of God’s providence. Clearly, like most analytical philosophers, Rawls doubts that these exercises in theodicy have been well spent, not least because the Church itself was guilty of oppression and persecution in its long history before the dawn of the Enlightenment. “The history of the Church includes a story of its long historical ties to the state and its use of political power to establish its hegemony and to oppress other religions.” Traditional doctrines such as predestination and papal infallibility do not withstand Rawls’s philosophical scrutiny any better than the actual behavior of the Church through the Middle Ages and Reformation. The upshot of this conventional secular portrayal of Christianity is, at least for Rawls, the stubborn fact that faith and reason will always be antagonists. Continuing with his autobiographical tone, Rawls observes: “To the extent that Christianity is taken seriously, I came to think it could have deleterious effects on one’s character. Christianity is a solitary religion: each is saved or damned individually, and we naturally focus on our own salvation to the point where nothing else matters.” In short, Christianity has no politically utility as long as its adherents focus on their place in heaven instead of relieving human suffering in this vale of tears. This last observation should not suggest that Rawls supports the exclusion of religions from his version of liberal democracy. 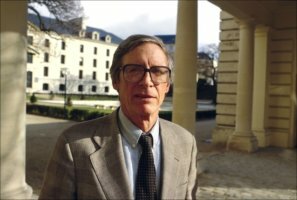 After a brief and sympathetic discussion of Jean Bodin’s pluralism (which he defended in The Colloquium of the Seven about Secrets of the Sublime), Rawls reaffirms his defense of political liberalism by remarking that “the religions of the seven are each reasonable” and in accord with public reason. “Part of the significance of this is that a person’s religion is often no better or worse than they are as persons, and the idea of the reasonable, or some analogous idea, must always be reasonable.” The question that Rawls leaves unanswered here is: reasonable according to whose criterion? Why, then, does Rawls argue that political liberalism should accommodate religious perspectives that “babble at random?” In the last two paragraphs of this essay, Rawls restates his view, which he elaborates upon in Political Liberalism, that religion is indeed reasonable as long as “divine practical reason” will connect “with social facts about how human beings are related in society and to one another.” There must be broad agreement, or a “stable overlapping consensus” about what these facts are. (See PL, 152) “Given these facts as they undeniably are in our social world, the basic judgements of reasonableness must be the same, whether made by God’s reason or by ours. This invariant content of reasonableness—without which our thought collapses—doesn’t allow otherwise, however pious it might seem to attribute everything to the divine will.” Ultimately, it matters what religious folks do, not what they believe, “for what is punishable in religion is not beliefs, but deeds.” Perhaps needless to say, there is no in-between” existence (metaxy) in which humanity seeks understanding of the divine. Rather, there is the sheer necessity of subordinating religion to the liberal social contract, a practice that goes as far back as Hobbes, Spinoza, and Locke. It sounds as if Rawls is simply restating the idea of “reflective equilibrium” that he outlined in A Theory of Justice. In this state of equilibrium, which results from a rigorous “going back and forth” in dialogue, citizens in Rawls’s just society will eventually “know to what principles our judgments conform and the premises of their derivation,” even if “further examination” is necessary. (TJ, 18) Despite his efforts to distinguish between his two big works, Rawls also gives the impression that he is anticipating his view, as expressed in Political Liberalism, that a true liberal regime should not take any official stance on the truth-value of a religious perspective. As long as metaphysical views (whether religious or secular) do not lead to violent conflict or “civil strife” (PL, 152), all will be well. An “overlapping consensus” is possible as long as religious and secular folks agree on the facts, as stated earlier. A “reasonable pluralism” (PL 153) will function as long as there is no fundamental disagreement. These passages are about as close as Rawls gets in Political Liberalism to acknowledging a Voegelinian tension or gulf between principles and politics. At first glance, then, Rawls would be just the opposite of a “doxic thinker” who seeks to settle philosophical questions once and for all in the public square. Still, the question remains: does Rawls need a “reasonable” religion? Is Religion Necessary in Politics? None of the above discussion denies that Rawls sees religious ideas as useful. The proviso is that religious ideas must conform with liberal credos. In his essay on “public reason,” he acknowledges that if a Christian endorsed a constitutional democratic regime in accord with his belief that God sets limits to human liberty, that would be acceptable. For this reason, Rawls approvingly refers to Abraham Lincoln and Martin Luther King Jr. as appropriate examples of how religious speech can be compatible with public reason. (PL, 249-250, 254) A “concern for salvation” need not “require anything incompatible with that liberty.” (PL, 153) Unsurprisingly, then, it sounds as if Rawls desires a liberal version of religion. If I have interpreted Rawls accurately, it is hard to imagine him worrying about the particular religious or philosophical origins of equality. It is even harder to imagine him endorsing a “comprehensive” liberalism that is based on the minimum dogma or civil theology that explicitly recognizes these origins. Rawls instead expects peoples of all faiths (and those without faith) to embrace equality under conditions of “political liberalism” for the sake of peace in his just society. At the very least, they should not let their religious beliefs seriously conflict with a belief in human equality. To act otherwise is to act in an unreasonable manner. As J. Judd Owen has astutely argued, it is hard to avoid the conclusion that Rawls simply conflates what is “reasonable” with what is “liberal.” As many of his critics from the Right and the Left have suspected, Rawls dresses up historically specific ideas as abstract truths (or at least judgments) that everyone should accept, however uneasily. Yet Rawls never suggests that these ideas depend upon any religious traditions from which they originate. Nor does he worry about the possible tension between his idea of reason or the “reasonable” and his own ethical preferences. Perhaps, as we have seen, he simply has faith that people will reason together in order to avoid serious disagreements. Yet this faith requires no religious basis. This blind spot on Rawls’s part appears in both of his major works on liberalism. Even Rawls’s most sympathetic readers have spotted some metaphysical baggage here. Nielsen pointedly asks: “why is it, or is it, that a man is in any way faulted in his rationality if he does not love mankind?” Although Voegelin and Nielsen share few philosophical assumptions, they both agree that certain cherished moral notions may not withstand close philosophical scrutiny. Yet Rawls, in A Theory of Justice, like his Oxfordian predecessors, evinces no worry about the survival or staying power of the sentiments that feed these notions. They are “natural and intelligible,” after all. Does Political Liberalism require such a love, notwithstanding some exemptions? I believe that it is implicitly required even within his system, which strives to avoid comprehensive liberalism. Rawls expects his citizens to be tolerant or accepting of each other, to disagree without being disagreeable. These sentiments sound uncannily like a version of universal love, although Rawls makes no connection between these attitudes. He simply expects that citizens will generally accept liberal norms or at least not go out of their way to undermine them. Rawls, whether he admits or not, is depending on a religious precondition that he considers philosophically obsolete (even though, oddly enough, religion is also a “permanent” feature of a pluralistic society). In order to make this reality possible, Rawls has to fall back on a concept of universal love to which he referred in A Theory of Justice. Put differently, an attitude of easy tolerance of others likely requires the belief (comprehensive doctrine?) that all human beings have value. Do all religions teach this? Does secular rationalism even teach this? These questions, as far as I know, do not interest Rawls. Yet this is another example of Rawls’s profound failure to think through the historical and religious origins of the liberal morality that he assumes to be “reasonable.” As George Grant once wrote, the belief that all human beings have value (or are equal, in some sense) is hard to sustain through rational argumentation. The only alternative foundation for this belief is religious. “This religious basis for equality seems to me the only adequate one, because I cannot see why one should embark on the immensely difficult social practice of treating each person as important unless there is something intrinsically valuable about personality.” Yet, as analytical philosophers constantly remind us, this assumption of intrinsic value is just a preference that is far less rational than the assumption that people simply have instrumental value. Political Liberalism is ultimately no more successful than A Theory of Justice in demonstrating that rationality requires love of humanity or our intrinsic value as persons. Rawls simply asserts that “the knowledge and ways of reasoning that ground our affirming the principles of justice and their application to constitutional essentials and basic justice are to rest on the plain truths now widely accepted, or available, to citizens generally.” (PL, 225). Yet he never demonstrates that any of this counts as a “plain truth” to all human beings. Rawls is oblivious to the problem of Hume’s “sensible knave,” a rational person who pays lip service to moral conventions even as he secretly flouts them if they do not serve his interests. Although this person is reprehensible, Rawls would have difficulty explaining why he is irrational. If cherished norms lack a rational or empirical basis, Rawls has no choice but to fall back by necessity on a religious tradition. For this reason, even sympathetic readers of Rawls, such as the analytical Marxist G. A. Cohen, came to the conclusion that a truly egalitarian society in which people treat each other as equals would require a “revolution in feeling or motivation” that Rawlsian prescriptions and rules would not make possible. Instead, only Christianity would effect this “revolution in the human soul.” In Voegelinian terms, “Christian substances” must precede secular justice in modernity. If Rawls’s A Theory of Justice did not fit easily with the strife-torn America of its time, how well does Rawls’s Political Liberalism fit within the Trump era? American Christianity, at least measured in terms of mainstream church attendance and belief, is in decline. Is the rising secularization of America, then, leading to a new birth of moderation? As we have seen, Voegelin would warn against this hasty and uninformed conclusion. There is a great deal of angry talk about equality across the entire political spectrum. We live in an age that sharply contrasts with what Voegelin admired most about England’s political culture, one that “has engendered loyalties that motivate justification rather than dissolving criticism.” (OPP, 37) The Rawlsian insistence on “reasonable” discourse seems to be missing in action amidst the political polarization that is the new normal in America. The contemporary version of what Voegelin calls “New-Leftist egalitarianism” conflates “equality” with special entitlements for variously aggrieved groups on the margins. The contemporary version of the “New Left” has no sympathy with this toughminded understanding of equality, one that is based on the biblical idea of fallenness. The humility that is at the heart of this truth demands far more than a good “conscience,” which can rationalize extremism and violence. Voegelin’s preference for a “polis” that still “offers the opportunity for full actualization of human nature” does not fit any democracy in our age. (OPP, 45) However, the philosopher who recognizes the fundamental tension between ideals and reality has always had the profound duty to resist the easy temptation to conform with unstable political realities, even if “that brings him into conflict with an environment infested by dubious ideologies and political theologies.” (OPP, 46) The alternative is to pretend that mere abstractions can counter the political radicalism of our post-Christian era. This article was first published in Philosophical Quarterly 3, no. 1 (1953). It is reprinted in The Collected Works of Eric Voegelin, volume 11: Published Essays 1953-1965, edited by Ellis Sandoz (Columbia, MO: University of Missouri Press, 2000). In my discussion, I cite this essay as OPP, with the page numbers from this volume. I am grateful to David Whitney for making helpful editorial suggestions. George Grant, English-Speaking Justice (Anansi: Toronto, 1985), 52. J. D. Mabbott, The State and the Citizen: An Introduction to Political Philosophy (London: Hutchinson’s University Library, 1947). See also Bjorn Thomassen, “Reason and Religion in Rawls: Voegelin’s Challenge,” Philosophia 40 (2012), 237-252. Although Thomassen provides a very fine Voegelinian critique of Rawls, he does not discuss Voegelin’s essay on the Oxfordians. Paul Weithman, “John Rawls and the Task of Political Philosophy,” Review of Politics 71 (2009), 113. Berlin at times had doubts that political philosophy was still a vital discipline. See his “Does Political Theory Still Exist?” in The Proper Study of Mankind: An Anthology of Essays, edited by Henry Hardy and Roger Hausheer (New York: Farrar, Straus, and Giroux, 2000), 59-90. This essay first appeared in 1962. David Boucher, “Editor’s Introduction,” in R. G. Collingwood, The New Leviathan, or Man, Society, Civilization, and Barbarism, revised edition (Oxford: Clarendon Press, 1992), xv. Kai Nielsen, “On Finding One’s Feet in Philosophy: From Wittgenstein to Marx,” in Pessimism of the Intellect, Optimism of the Will: The Political Philosophy of Kai Nielsen, edited by David Rondel and Alex Sager (Calgary: University of Calgary Press, 2012), 7. See Grant, English-Speaking Justice, 39-42. See also Allan Bloom, “Justice: John Rawls versus the Tradition of Political Philosophy,” in Giants and Dwarfs: Essays 1960-1990 (New York: Simon and Schuster, 1990), 315-316. John Rawls, A Theory of Justice, revised edition (Cambridge, MA: Belknap Press, 1999 ), 11. I henceforth cite this work as TJ in the text. John Rawls, “The Idea of Public Reason Revisited,” in Political Liberalism, expanded edition (New York: Columbia University Press, 2005), 489. This essay originally appeared in The University of Chicago Law Review 64, no. 3 (Summer, 1997), 765-807. The page numbers that I cite refer to the text published in Political Liberalism. Rawls, “Idea of Public Reason Revisited,” 490. Carlos Fraenkel, Philosophical Religions from Plato to Spinoza: Reason, Religion, and Autonomy (Cambridge: Cambridge University Press, 2012), xiv. John Rawls, Political Liberalism, expanded edition (New York: Columbia University Press, 2005 ), 144. I henceforth cite this work as PL. Nielsen, “On There Being Wide Reflective Equilibria: Why It Is Important to Put It in the Plural,” in Pessimism of the Intellect, 47. Nielsen, “On There Being Wide Reflective Equilibria,” 47. See Ismail Kurun, The Theological Origins of Liberalism (Lanham, MD: Lexington Books, 2016). Eric Voegelin, “Spinoza,” in The Collected Works of Eric Voegelin, vol. 25: History of Political Ideas, vol. 7 : The New Order and Last Orientation, edited by Jürgen Gebhardt and Thomas A. Holloweck (Columbia, MO: University of Missouri Press, 1999), 134. Benedict Spinoza, Theological-Political Treatise, in The Collected Works of Spinoza, vol. 2, edited and translated by Edwin Curley (Princeton: Princeton University Press, 2016), 268-269. Leo Strauss, “How to Study Spinoza’s Theologico-Political Treatise,” in Persecution and the Art of Writing (Chicago: University of Chicago Press, 1988), 142-201. For a thoughtful critique of Strauss’s hermeneutic, see Nancy Levene, “Ethics and Interpretation, or How to Study Spinoza’s Tractatus Theologico-Politicus Without Strauss,” Journal of Jewish Thought and Philosophy 10 (2000), 57-110. Eric Voegelin, Order and History, vol. 3: Plato and Aristotle, in The Collected Works of Eric Voegelin, vol. 16, edited by Dante Germino (Columbia, MO: University of Missouri Press, 2000), 317. Defenders of Rawls argue that his concern with the truth and respect for human reason in both of his big works on justice and liberalism discourage him from embracing the Noble Lie. See Daniel Dombrowski, “Plato’s ‘Noble Lie,’” History of Political Thought 18, no. 4 (Winter 1997), 577-578. Robert Merrihew Adams, “The Theological Ethics of the Young Rawls and Its Background,” in John Rawls, A Brief Inquiry into the Meaning of Sin and Faith, edited by Thomas Nagel (Cambridge, MA: Harvard University Press, 2009), 24-101. For a similar critique, see Brayton Polka, “History Between Biblical Religion and Modernity: Reflections on Rawls’ Lectures on the History of Moral Philosophy,” European Legacy 7, no. 4 (2002), 445-451. John Rawls, A Brief Inquiry into the Meaning of Sin and Faith, edited by Thomas Nagel (Cambridge, MA: Harvard University Press, 2009). John Rawls, “On My Religion,” in A Brief Inquiry into the Meaning of Sin and Faith, 261. Rawls, “On My Religion,” 264. Rawls, “On My Religion,” 264-265. Rawls, “On My Religion,” 265. Rawls, “On My Religion,” 267. Rawls, “On My Religion,” 268. Rawls, “On My Religion,” 269. Thomassen, “Reason and Religion in Rawls,” 245. Rawls, “The Idea of Public Reason Revisited,” 460. J. Judd Owen, Religion and the Demise of Liberal Rationalism: The Foundational Crisis of the Separation of Church and State (Chicago: University of Chicago Press, 2001), 97-128. Perry Anderson, Spectrum (London: Verso, 2005), 106. Despite my caviling here, Anderson’s overall critique of Rawls (pp. 103-112) is very insightful. Voegelin, Plato and Aristotle, 195. Owen, Religion and the Demise of Liberal Rationalism, 114. The proper limit of religious freedom in a liberal society is still a live issue in the literature on Rawls. See Paul Billingham, “Can my religion influence my conception of justice? Political liberalism and the role of comprehensive doctrines,” Critical Review of International Social and Political Philosophy 20, no. 4 (2017), 403-424. Kai Nielsen, “Rationality and the Moral Sentiments: Some Animadversions on a Theme in A Theory of Justice,” in Why Be Moral? (Buffalo, NY: Prometheus Books, 1989), 220. See Johannes A. Van Der Ven, “The Religious Hermeneutics of Public Reasoning: From Paul to Rawls,” in Rawls and Religion, edited by Tom Bailey and Valentina Gentile (New York: Columbia University Press, 2015), 170-192. Rawls, “Idea of Public Reason Revisited,” 489. George Grant, “An Ethic of Community,” in The George Grant Reader, edited by William Christian and Sheila Grant (Toronto: University of Toronto Press, 1998), 69-70. Weithman, in “John Rawls and the Task of Political Philosophy,” provides an informative discussion of the degree to which Rawls avoided these questions that arise from his own philosophical tradition (120-121). Hume, Enquiry Concerning the Principles of Morals, section 9, part 2. G. A. Cohen, If You’re an Egalitarian, How Come You’re So Rich? (Cambridge, MA: Harvard University Press, 2001), 2. George Hawley, Demography, Culture, and the Decline of America’s Christian Denominations (Lanham, MD: Lexington Books, 2017). See Paul Edward Gottfried, Multiculturalism and the Politics of Guilt: Toward a Secular Theocracy (Columbia, MO: University of Missouri Press, 2002), 39-70, and 131-149. Grant Havers is an Associate Editor of VoegelinView and Chair of the Department of Philosophy at Trinity Western University in Canada. He is the author of Lincoln and the Politics of Christian Love (Missouri, 2009) and Leo Strauss and Anglo-American Democracy: A Conservative Critique (Northern Illinois, 2013).